There’s little more serene in PC gaming than an hour with Notch’s opus. What other open-world survival experience has a ‘Peaceful’ option? Minecraft in Survival mode is about home-making – about carving out a space in the world to call your own. The thing is, you’re inevitable carving into something – or someone – living there already. That’s something Keshen8 has gone about highlighting in luscious papercraft animation. Did you hear? 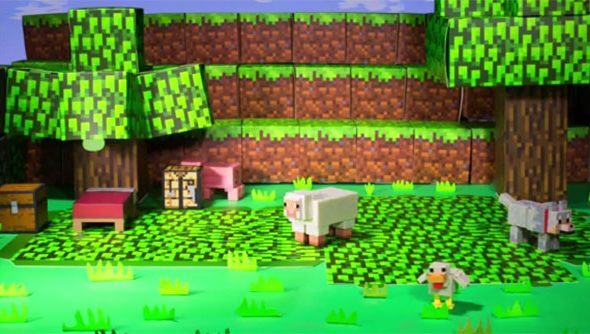 Mojang are working with Warner Bros on a “potential” Minecraft movie. How would you capture the essence of Minecraft in an hour and a half? Would it look anything like this?